At the 2010 election, 190 women stood as Labour candidates – 24 more than in 2005, and the most ever. 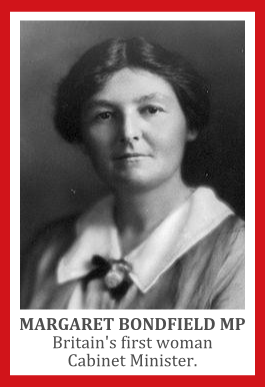 The first three Labour women MPs took their seats in 1923 – Margaret Bondfield, Dorothy Jewson and Susan Lawrence. Since then, 221 women have been Labour MPs, including the four women who have contested and won at by-elections since the last General Election. All of these women are listed below in order of date of first election. Some sat for more than one term, some sat for more than one seat, and some sat for seats in which there were boundary/name changes during their terms of office; all of these things are indicated below. The shortest-serving woman was Ruth Dalton, who kept the safe Bishop Auckland seat warm for three months following a by-election in 1929, so that her husband, Hugh, could move to it from a more marginal seat for the General Election that year. The longest-serving woman was the late Gwyneth Dunwoody, who was the MP for Crewe and Nantwich for a total of 38 years.